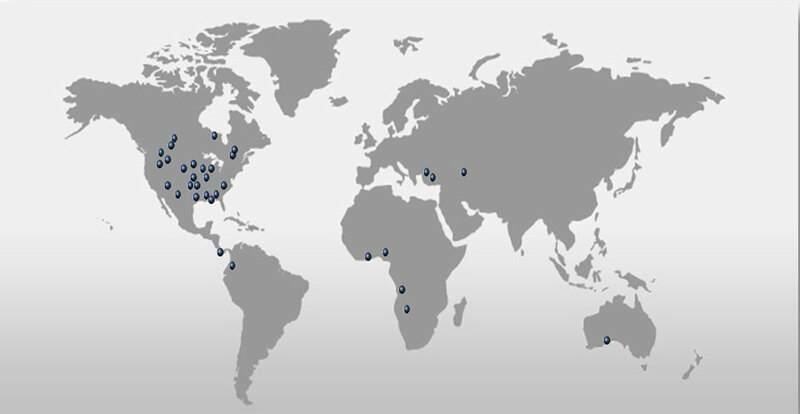 Pelican has the ability to quickly and efficiently provide customer focused solutions from our extensive experience in the industry. Pelican can provide the most cost effective solution for your project. Accountability: We each faithfully carry our load and timely satisfy our commitments; we bravely help our team members to do the same. We do what we say we are going to do, when we agree to do it. Fun: We individually and collectively strive to make Pelican a safe, healthy and enjoyable place where team members want to come to work. Responsible Stewardship: We develop and prudently use the talent and resources accumulated at Pelican and provide a platform for sharing the fruits generated by that talent. Service to all Stakeholders: Team Members, Customers and Community: Team members will approach all Pelican constituents with an appropriate attitude of being of service, not being served. Continuous Improvement: We constantly strive to each be better than we currently are and to deliver to our clients more than they expect. Meaningful Relationships: All efforts on behalf of Pelican will be aimed at developing relationships rooted in trust and integrity. Pelican not only promises to offer an overall compensation package that is competitive in today’s market place, we also share profits with all of our team members at the end of the year. Aligned with our purpose of improving people’s quality of life, Pelican is committed to providing an employment experience that is unmatched in our industry. From company parties to birthday celebrations, our CARE and FUN committees ensure that all of our team members are valued and celebrated. 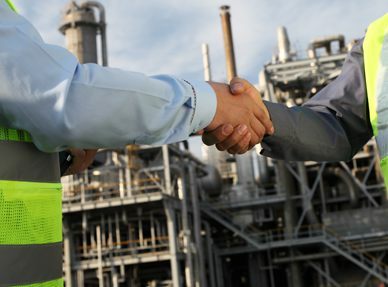 Pelican Energy is committed to providing an opportunity for our team members to grow both personally and professionally. From our leadership development program to our tuition assistance program, Pelican is committed to investing in our team members. When researching what was most important to our clients, they tell us that having a stable, consistent resource team was top on their list. At Pelican the same team that works on your projects today, can work on your projects tomorrow. In an increasingly complex business world, our clients find Pelican’s approach to common sense engineering refreshing. 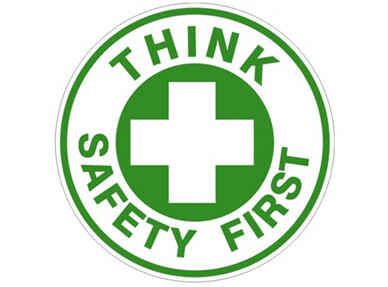 Our focus is to provide solutions that are capital sensitive, operationally friendly and above all safe. 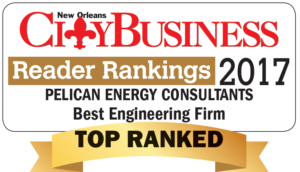 At Pelican Energy, we work with our clients as their professional partner, guiding them through the project as if it were our own. 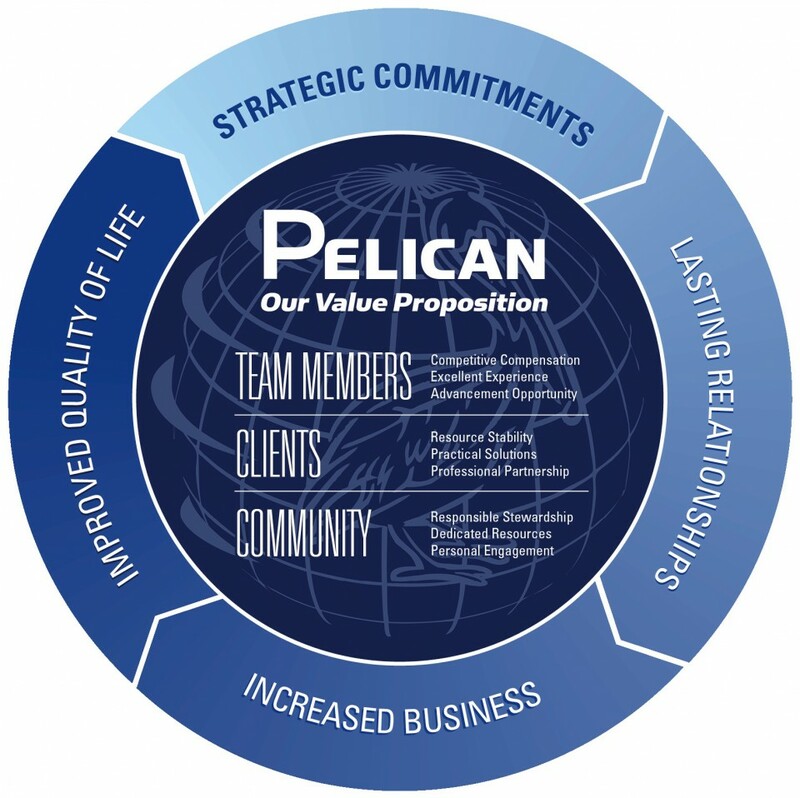 Pelican’s goal is to build a lasting relationship with our clients and mutually add value. At Pelican, we have a responsibility to be good stewards. Through unique committees within Pelican, our team members directly steward over the resources available to affect positive change in our communities. We put our money where our mouth is. Our team seeds a donation account with personal and company money. Through a diversely represented group called our Stewardship Committee, we field and satisfy requests for donations and service hours each month. Completely empowered, our team then goes into action, engaging the community by serving organizations that are near and dear to their hearts, serving with their time, talents and treasure.